While Vancouver is home to many talented artists, many of them don’t have regular open studios or galleries to show their work to the public. This is exactly why open house art walks like ROVE are so important to the local independent creative scene. 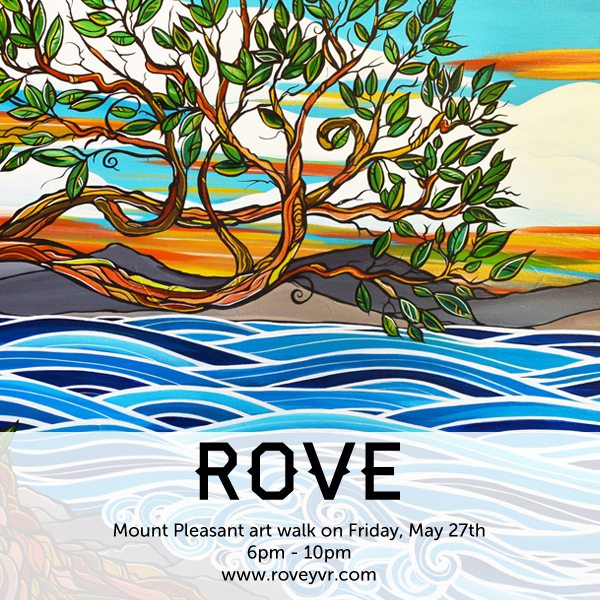 ROVE is a free, semi-annual community event that maps out galleries, studios, and creative spaces in Mount Pleasant offering Vancouverites a firsthand look at the city’s local art scene. The event creates an opportunity for art enthusiasts to mix and mingle with local artists and potentially take home a few unique pieces of their own.